The chef behind the 2017 World’s Best Restaurant, Eleven Madison Park in New York, has confirmed that he will be opening a restaurant at Claridge’s following the closure of Fera late last year. Simon Rogan’s Fera, which had a Michelin star, closed its doors for good on 31 December, leaving a vacant site to fill. 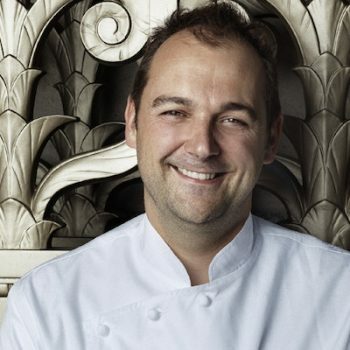 Humm, who heads up the three star Eleven Madison Park in New York, had long been rumoured to be the man set to step in. Now, the news has been confirmed, with Humm and business partner Will Guidara set to bringing a London take on Swiss chef Humm’s Eleven Madison Park to Clardige’s this summer. Humm was born in Switzerland and moved to the US. in 2003. Under his stewardship, Eleven Madison Park was named World’s Best Restaurant in 2017 by the World’s 50 Best Awards. The pair’s first European outpost at the luxury Claridge’s hotel in London will open under the name Davies and Brook, as reported by Bloomberg. “Having the opportunity to bring our cuisine and hospitality to the most storied hotel in the world is really a remarkable feeling and a dream come true,” Humm said in a statement. Davies and Brook will be a pared down version of Eleven Madison Park, with Humm creating new dishes for London. According to Bloomberg, the plan is to offer two savory courses for lunch and three for dinner. Dmitri Magi, formerly chef de cuisine at Eleven Madison Park, will serve as executive chef in London, while Eleven Madison Park’s general manager, Billy Peele, will spend time in London to supervise the opening. Paddy McKillen, co-owner of Claridge’s, added: “We are very excited to bring longtime friends and guests of the hotel; Daniel, Will and their exceptional team to Claridge’s, as we have been looking for an opportunity to work with them for some time. The name of the new restaurant is a nod to the hotel’s location on the corner of Davies Street and Brook Street, in Mayfair, with the restaurant scheduled to open this summer.